The other change which caused the Whisper to reach new heights was the use of the Innamorata amplifiers. I will say more about the Clarity Edition of the Whisper DSW in a separate article dedicated to the speaker system. However, here I will state that I have had a wide variety of amps driving the Whisper over the years, including extremely powerful Class D amps at 1,000 wpc, big Class A/B monoblocks, gorgeous tube amps in the 100-200 wpc range, and at least two or three integrated amps. While these others brought out particular strengths of the Whisper, the Innamorata seems to turn any aspect of the Whisper into a strength. The benefits of this amp are so profound that I have been considering purchase of a third unit solely for one setup used only occasionally. The Whisper DSW is capable of being used as an entirely, actively crossed speaker system. As such it would require six channels of amplification to handle L/R Bass, L/R Midrange and L/R Treble. 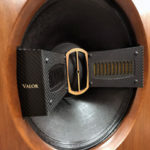 However, such a setup with the speaker would only be used rarely as I am continuously reviewing, and manufacturers will simply not normally release triplicate amps or cables for one speaker system. I have wondered if it would be worth purchasing another unit to have consistency of sound quality even though it would only be used for this speaker system and only in the active crossover mode. 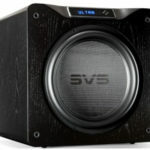 Could I use a Class D amp for the bass, or perhaps a different Class A/B? Yes, but based on my experiences thus far the result would suffer. I likely will not buy an amp which would be used perhaps less than 5% of the time, but I know it would be the correct thing to do in terms of optimization. This conundrum speaks to me about the merits of the Innamorata; it’s so good that I have a difficult time justifying not buying a third unit to be used only rarely, only for one speaker system and only in the active crossover mode for the bass frequencies! Would such an expense be sensible? No. Would it be extreme? Yes. Do I feel it would be the best solution to using the Whisper as an actively crossed speaker? Absolutely! The inherent quality of the sound produced by the Innamorata is such that I do not wish for any part of the frequency spectrum to be outside of its influence. The vast majority of time the Whisper DSW Clarity Edition will be in a vertically passively biamped mode. That is, I will use the two Innamorata units as if they were a four-channel amp, dedicating each amp to one speaker, using one channel for the bass and one channel for the M/T. Even though it is not the most extreme implementation of the Whisper DSW early testing has resulted in better sound than use of the speaker in previous active crossover setups. Next, I moved the King Sound King Tower omnidirectional speakers into the system. I knew the Innamorata would bring something good from these unorthodox speakers, but how good I could scarcely imagine! I call the soundstage of a true Omni the “Mushroom Cloud of Sound,” for its enveloping nature and less precisely localized images. Previous attempts to gain awe-inspiring sound from them was challenging in terms of tonality; the ribbon tweeter was too strident and the mid/bass too pronounced and unsupported by lower frequencies under 35Hz. Once the Innamorata amps were playing the King Tower these issues evaporated into the mushroom cloud. As the images became atomized the timbre of the instruments seemed to fill in the gaps. 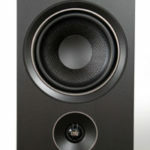 There was a prevailing sense of fundamental tonal accuracy more so than with any dynamic speaker I have used. The mid-bass was tempered and extended nicely such that the speaker seemed larger than its height of 44”. The system yielding these results was surprisingly mismatched cost-wise; Simaudio Moon Evolution 750D DAC/Player, Cambridge Audio Azur 840E preamplifier, and all Clarity Cables. I am hopeful that Roger DuNaier of Performance Devices, the North American distributor for King Sound, will bring the King Tower omni into North America, sans those hideous blue foam balls stuffed between driver cabinets, which I removed as quickly as I could. I don’t see a lot of options price-wise for audiophiles when it comes to omnidirectional speakers, and my guess is the majority have not heard a fine, omni-based rig. A speaker system at about $5K with a pair of Innamorata amps at $6K sounding “to die for?” Believe it. I hope it becomes a reality for many to hear at a show sometime soon. I have put together one additional system to date with the pair of Innamorata amps, this one being substantially more upscale. Keeping the Simaudio source, I started working with the Pass Labs XP-20 Preamplifier in for review. Together with the Innamorata amps they fed the King Sound King ESL panel speakers. One might wonder if a more modest 125 wpc is sufficient for these large electrostats, but the amps held their own. I was able to take them up to listening levels at 90dB without a sense of strain. The Innamorata and the King ESL is a stupendous pairing, of such a majestic nature I would call it, “One for the ages.” How often do you find a speaker/amp combination knocking on state of the art sound at about $25K? Many rabid audiophiles would spend that amount or more on speakers alone. I’m not suggesting that this is in any way cheap or “affordable,” just that its performance is among the better available at the price. I have been seeing the comments being made following shows as more people hear the King III ESL. It is staring to become known as a very serious electrostatic speaker, as I have been saying for some time. While there are other amps which will bring more dynamic power and likely better transients than the Innamorata, the only amps, tube or SS, which is fundamentally more gorgeous holistically with the King III than the Innamorata are the massive Pass Labs X600.5 Monoblocks; that is a lot of high power, high profile amplification to best the modest pair of Innamorata. I have not made it a secret that I consider the King III the best panel speaker under $25K and the Innamorata works superbly with it. It might be a dangerous thing to compare an amp to an artist, as there are so many expressions of personal taste, likes and dislikes. Yet, certain artists capture the essence of beauty in ineffable ways. One of the most serenely beautiful voices I call to mind is that of Mary Chapin Carpenter. Lately I have been enjoying “Come On, Come On,” from the 1992 album of the same title. On this piece as well as “I Am A Town,” she slides between singing and whispering so easily, so smoothly, always consoling and comforting with her serene nature. Her sublimely warm vocals are very easy on the ears. The Innamorata is similarly accomplished and accommodating, having an ease which is not found in most solid state components, much less solid state amps. I have put together a lot of tube-based systems which have not the suppleness and illumination as the Pass XP-20 with the Innamorata. Guests to my listening room have been surprised when I have pointed out that I am running an all solid state rig. It sounds too sweet and rich to be an all solid state rig, but not when the Innamorata is anchoring it. Behind the scenes, sometimes quietly, components get shuttled between reviewers. Manufacturers may have several units making the rounds. Why? Reviewers have been hearing them and talking about them, many times acquiring them and forcing the manufacturer to put more units into circulation. Before you get hot under the collar about this process consider that generally the more confirmation there is in the reviewing community the more likely the product is to really be a winner. Prior to my writing for Dagogo one of the criteria I used to assess the potential quality of a product was the spread of reviewer opinion. If only one thought the product was exceptional, it did not carry as much weight as if three or four found it outstanding, especially if there was an unusually wide variance of attending components used in their systems. Therein lies the rub for the audiophile consumer; if you trust just one writer’s opinion, you are taking a certain risk which might be mitigated if several more weigh in on the component. However, by that time you may find the product in short supply and/or the price to have risen substantially! 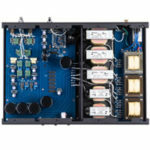 There is no perfect methodology for an audiophile to remotely purchase a component, but in this instance you get a bonus – one article and two reviewer’s thumbs’ up for Wells Audio amps! Even if not a single other reviewer thought the Akasha and Innamorata were great, I wouldn’t care much. I’m getting the results I want; no, make that I’m getting results I haven’t gotten prior from solid state amps at almost any price point! But something tells me that there will be plenty of industry insiders who are positively inclined toward the sound of a Wells Audio amp. Audiophiles are often on the search for a dream component, one which is “all of that” in terms of performance, but not priced out of reach. Is the Innamorata such a product? Thus far, yes, with the caveat that I cannot comment on long term reliability. But based on performance and satisfaction I gleefully endorse the Innamorata fully! I also suggest that it has a higher suitability potential for many systems than most amps. It is so rich, so beautiful sounding, so well balanced, so engaging that I think one would have to be running truly awful equipment for it not to sound super in their rig. If you put the Innamorata in your system and it doesn’t sound right, start removing the other components! Consider that I made a similar endorsement about the VAC Signature Preamplifier MkII, which costs more than two of the Innamorata. The more observant among us will realize that I am reviewing using a pair of Innamorata with some of the best preamps from VAC and Pass Labs, two of the most venerated names in high end audio. Aside from these manufacturers’ own amps which are designed to integrate superbly, the affable Innamorata is the best suited, most profoundly upscale sounding amp I have used alongside them. I suggest that even if an individual is planning on spending tens of thousands on premier amplification but does not yet have the resources to pull it off, they may wish to stage their project such that they get their gonzo preamp and try an Innamorata with it. If that’s not enough firepower, put in another Innamorata; that should do it. You will get sound quality competitive with amps costing up to six times the price. I used the Cambridge Audio Azur 840W amps for about three years with pleasing results, but they have been steamrolled by the Wells Innamorata. While the Innamorata has only a fraction of the functionality of the 840W it is in an entirely higher echelon of sound in my system. While the 840W, which won all sorts of awards, might not embarrass itself with far more expensive gear, the Innamorata has an embarrassingly high degree of superior sonic character compared to hoity-toity gear. Nowadays in the audiophile community a lot of attention is being focused on development of Class D amps, and indeed they have improved nicely. They may be the future of amplification. However, in the meantime the Class A/B amp continues to be refined, and still has some surprises in store, as evidenced by the Akasha and Innamorata amps. I have heard Jeff Wells state enthusiastically that the Innamorata is the best sounding amp in the world. I like that confidence, spoken like one of the Big Audio Manufacturers who turn out products with MSRP that boggles the mind. I would be lying to say I have not heard better, but I have not heard better at anywhere near the price.